Nearly 2 million Americans report being the victim of violence in the workplace each year. It’s clear this should be a concern for every business owner and manager. 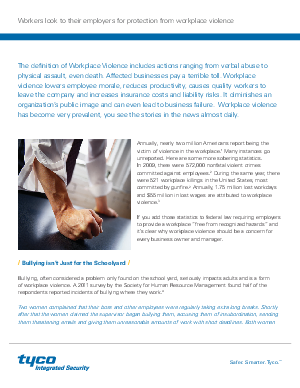 Learn what proactive measures you can take to limit the impacts of workplace violence in your business and see how security equipment plays an important role in mitigating potentially harmful situations.